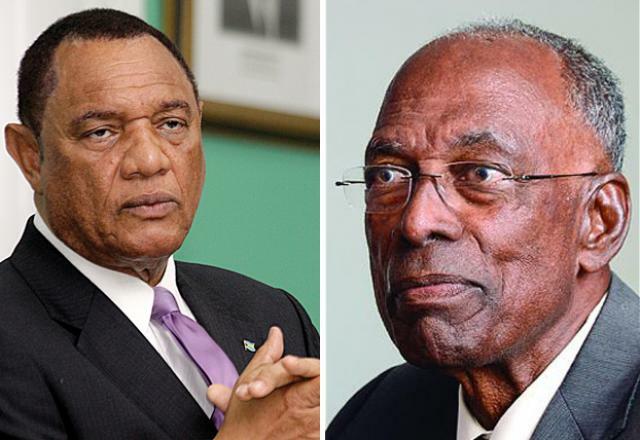 Prime Minister Perry Christie made a million-dollar mistake in bringing the January 2013 gambling referendum to the public and should resign as opposed to moving on without any consequences for his ill-considered action, according to former PLP minister A. Loftus Roker. “He made a mistake. That’s a million- plus-dollar mistake made. And he said he made a mistake,” Roker, a former chairman of the Gaming Board, told National Review. “He shouldn’t have gone to a referendum, because he wanted the referendum to say yes. The referendum said no. I would resign. If I reached that point. I made a mistake and I would pay for it. I would resign. That’s what he should do. And let the other fellow who come along do whatever they want to do. But there has to be a penalty. “There has to be something. You just can’t keep making mistakes, and say I’m sorry. There has to be a price at some point with this thing. Before the referendum, Christie had pledged to abide by the results. In regulating web shops, the government is now showing a strong lack of respect for the democratic process and it is doing so in an unashamed and brazen manner. It risks serious political fallout and it has so violated the trust of voters that winning support on important measures via referendum appears in jeopardy. While Christie admitted in an interview with National Review in January 2014 that he regreted taking the web shop issue to referendum, the need for a formal public apology in this matter is lost on him. From the government’s own numbers, we know that at least $1 million was wasted on that useless exercise. The government is compounding the insult to the electorate by moving ahead with regulating the web shops in an arrogant fashion. 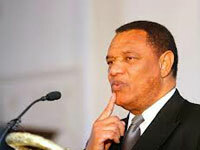 “We ignored the results,” said Roker, who held various portfolios in the Cabinet of the late Sir Lynden Pindling. “We’re now going to regulate the thing and all of that. So when you bring another referendum to me why should I waste my time taking part in that referendum? Why should I? “And secondly, even if I take part and approve whatever it is you’re asking me to approve, how do I know you are not going to change your mind after I voted? “And so, they’re now planning to hold a referendum on changes to the constitution. This thing cost millions of dollars to do, that’s the first thing and we claim we have no money. Roker agreed with Christie’s conclusion that the web shop issue should never have gone to referendum. “That was an attempt, in my view, by Prime Minister Christie to absolve himself from blame because he was certain that the people were going to vote yes to web shop gaming. And then he could say to the church, ‘Well it ain’t me. It’s the people who say that’. Roker added, “They wanted to legalize this thing before the election. “They knew that, but because they figured they’ll get religious kickback from that they decided they would do a fake, they would do a sham. 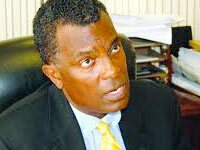 “They’re going to do something because they are satisfied, they believe, that most Bahamians will gamble. But that doesn’t mean that most Bahamians want that legalized even though they may gamble. “Since that referendum, we have had web shops open in Acklins where there are about 300 people,” he said. “You’ve got about two web shops up there. And there is no employment in Acklins, except if you’re a teacher, or something like that. We have web shops opened up there since the referendum and they had to get permission from the government to operate. We also asked Roker if he is pleased with the general performance of the Christie administration. Roker said, “I supported them in the election because I believe anything was better than [former Prime Minister Hubert Ingraham]. But I knew I wasn’t doing much. “I knew I wasn’t going to get much for it. They are going along the line that I expected them to go along. It’s the same old thing; the same old posturing and the same old thing and they hope that you don’t remember what happened yesterday, so they say a new thing today. Roker suggested that the current group of PLP politicians is an indisciplined and disorganized bunch. “In the 60s before the PLP came to power, the leaders of the PLP used to sit down and decide what policy we should adopt, what kind of government we want and all that,” he said. Resign, and hopefully hang yourself; what a scumbag.